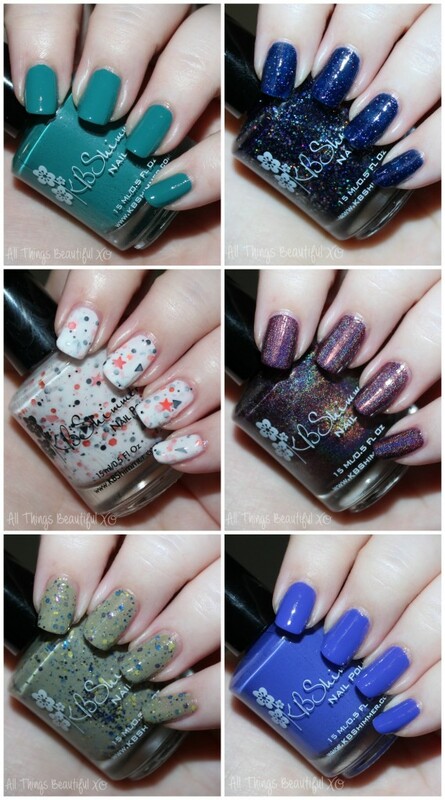 Now that it is officially fall, I have a whole slew of fall polish collections to share with you guys! I’m especially excited about this one because KBShimmer makes incredibly gorgeous & unqiue shades season after season. & once again- these are fabulous! The opacity, glitter combos, shades…#allthethings are perfect! I broke this up into two parts so stay tuned for the Part #2 post coming soon as well! Now onto the glorious colors of fall! KBShimmer Nail Polish in Carpe Denim- Deep navy jelly polish packed with silver holographic glitter. 2 coats with top coat. 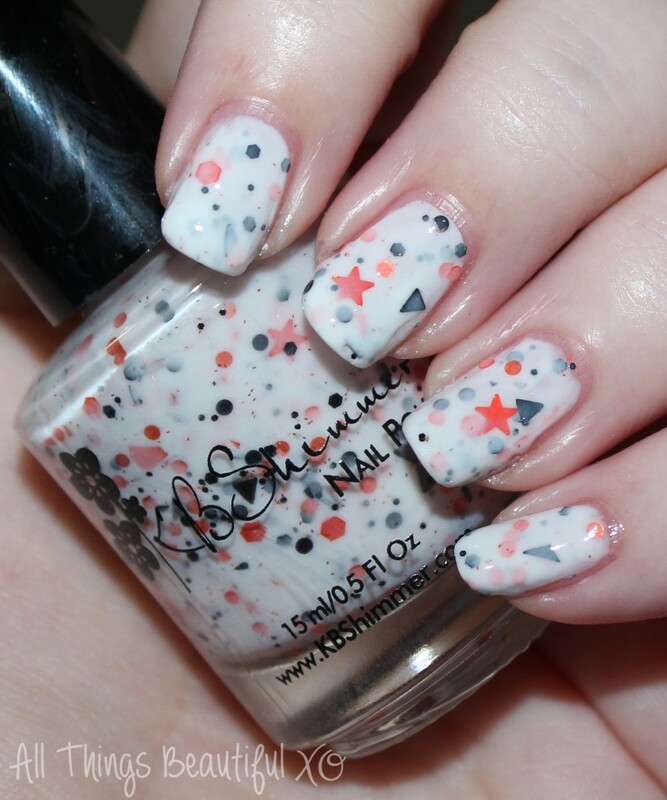 KBShimmer Nail Polish in Be Scareful- A creamy white base packed with orange circles, black & orange hexes, orange stars, & black triangles. This glows in the dark! 2 coats with top coat. 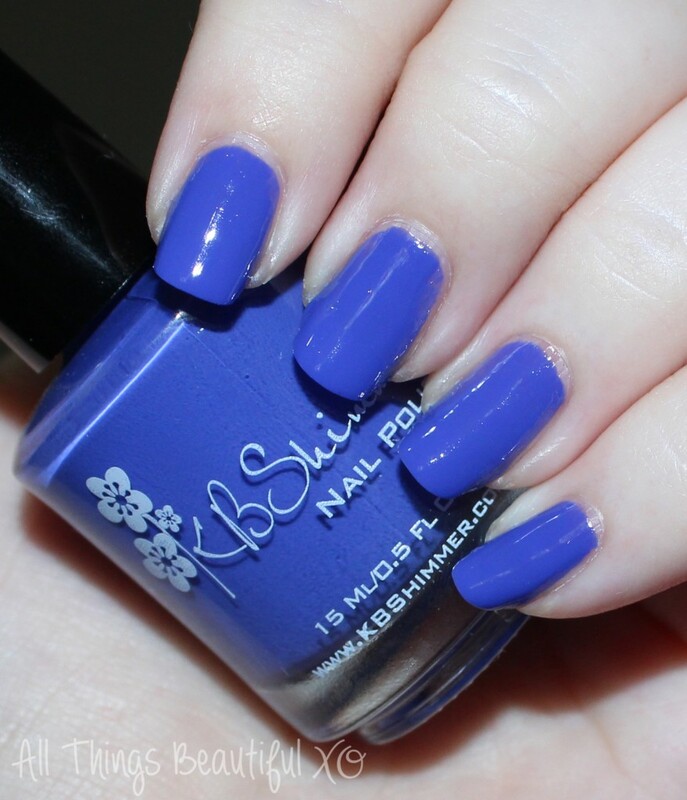 KBShimmer Nail Polish in Breaking Blues- A creamy periwinkle blue. 2 coats with top coat. 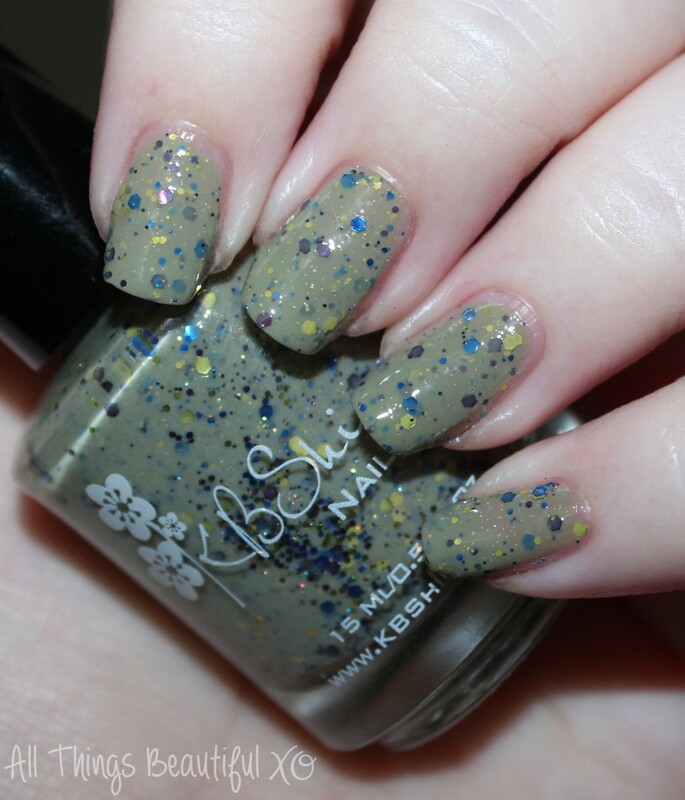 KBShimmer Nail Polish in Open Toad Shoes- A softened olive green base packed with burgundy, chartreuse, & blue hexes of varying sizes. 2 coats with top coat. KBShimmer Nail Polish in Teal it to My Heart- A very pigmented teal cream. 2 coats with top coat. 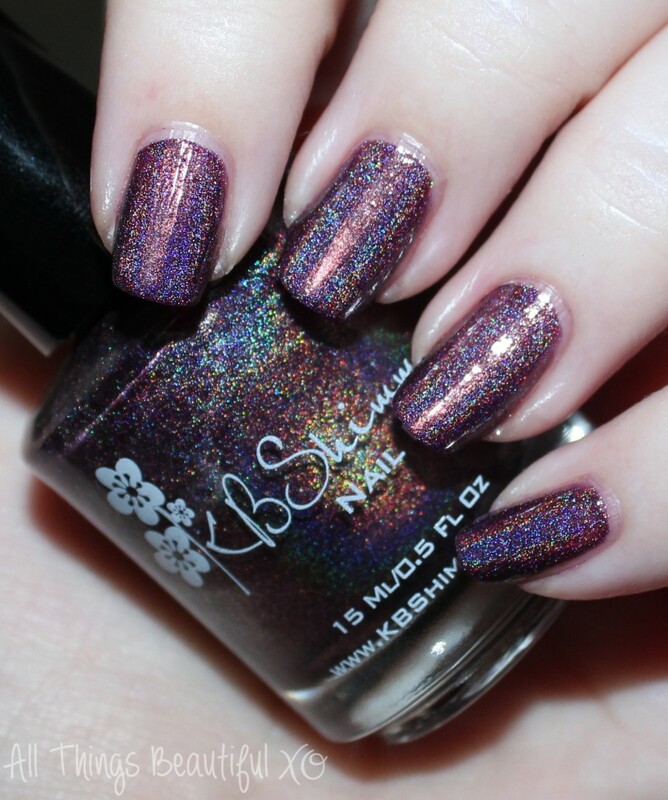 KBShimmer Nail Polish in Fig-Get About It- A pigmented linear holographic fig purple polish. 2 coats with top coat. You can purchase all of the shades from the KBShimmer Fall 2015 collection on their site right here. Stay tuned for Part #2 soon! Here’s a peek at the entire collection swatched by me above! Which shades catch your eye for fall this year? What are your must-haves? I’d love to hear what you think in the comments below!